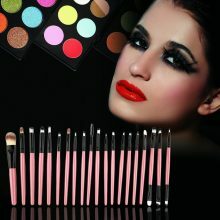 Professional set of 20pcs make up brushes with case. Excellent figment, best than imagined. I recommend an excellent product!! !